On a baking sheet in the oven or in the toaster, toast the slices of bread. Let cool. 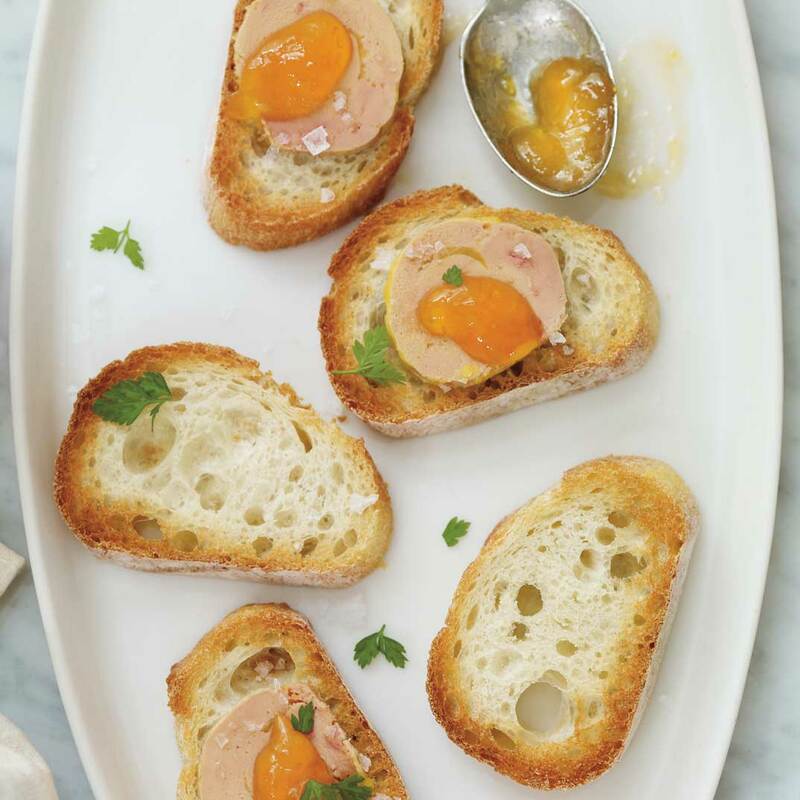 Top each toasted slices of bread with a slice of foie gras. 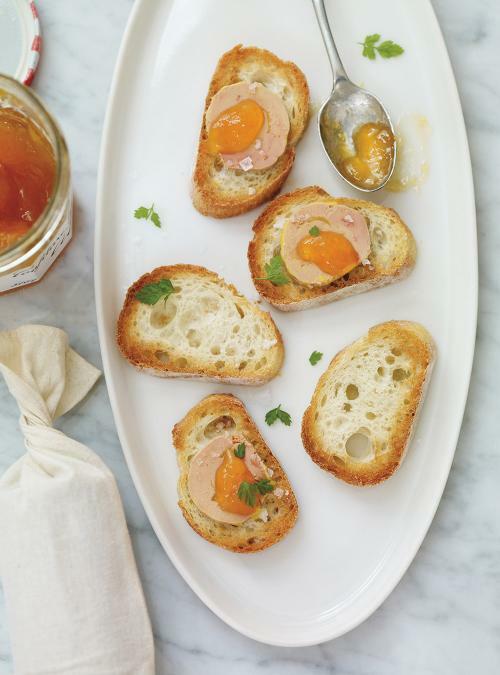 Add 2.5 ml (½ teaspoon) of apricot jam on each crouton, the equivalent of one small spoonful per hors d’oeuvres. Garnish with chervil. Season with salt. I'm getting the emails to my box but there are no pictures in the email !